Saturday breakfast - bagels, bananas, hard boiled eggs, coffee, tea, etc. Saturday dinner - a POTLUCK of epic proportions. Refrigeration is available on site, so bring your favorite dish to share that will serve about 6-8 hungry dancers! Please plan to bring something to share for Saturday's potluck. If you have complicated dietary restrictions or requirements, feel free to bring along what you need. You're welcome to use the refrigerator at Camp. Onsite lodging is available in rustic (and renovated, with electricity!) 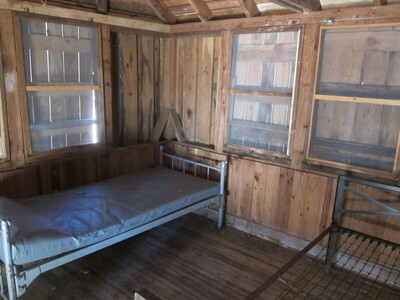 cabins accommodating 10 people and originally built by the Civilian Conservation Corps and Works Progress Administration workers of the Great Depression. 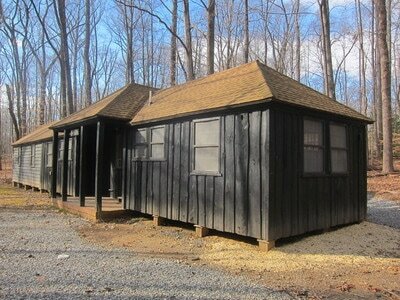 Get some pals together and grab a cabin for your very own! Claim your cabin spot when you get to Camp. We'll have some cabins designated (Quiet/Party/Ladies/Gents/Don't give a darn). Bring a pillow, sleeping bag, towel, and flashlight. Each group of five cabins has a shared bathroom with showers. You'll need to walk a very short distance from your cabin to reach it. 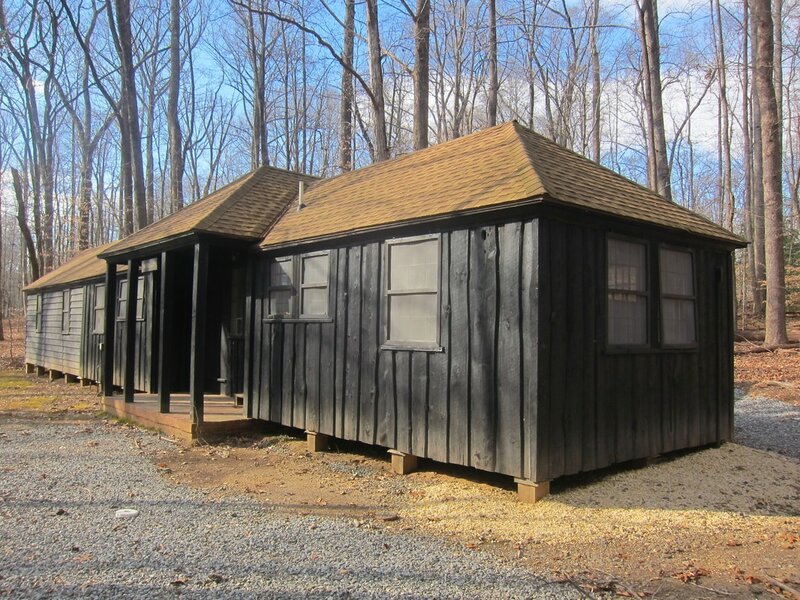 There is one cabin for the entire camp that includes its own bathroom facilities. Please email us in advance if you will need to use this cabin. 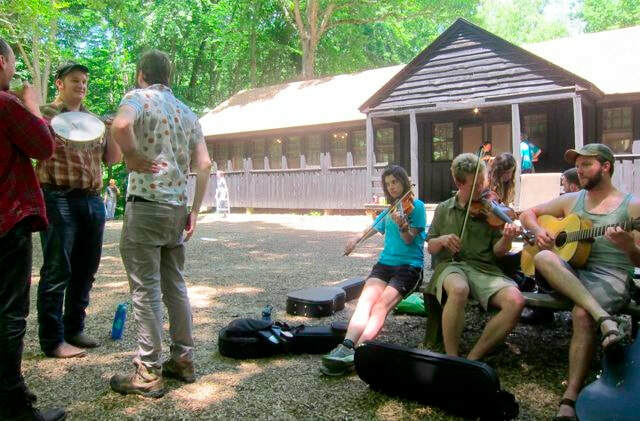 If cabin camping isn't your thing, there are also numerous hotels within a five minute drive of the park.